Construction has started on the creation of a new function room at the Tewkesbury Park Hotel, Golf and Country Club in Gloucestershire. 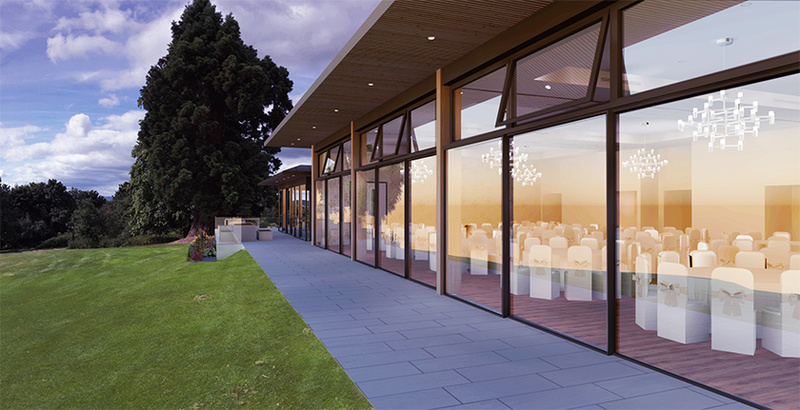 Designed as a conference and wedding venue, the facility will have magnificent views across 176 acres of ancient parkland where the Battle of Tewkesbury, one of the decisive battles of the Wars of the Roses, took place in May 1471. Childs+Sulzmann Architects were appointed to design the facility as part of the £6m restoration scheme because of their significant experience in the commercial development of country house properties. In addition to the new function room the development includes an extension and refurbishment of the leisure club with all new facilities, an extension of the restaurant and the relocation of the golf club-house. The planning application process was challenging, not least because of historic nature of the site.